I get super excited about our staycation breaks but the packing can be a nightmare. Maybe it’s because I pack like I’m moving house. I’m try to anticipate what the kids will need. This summer we’ve been enjoying (or not) tropical heat but the heatwave as come to an end. Packing for our Pembrokeshire staycation was still doing my head in. All my ideas of a capsule has gone out the window because the weather is so changeable now. Added to that, the older the kids get the more stuff we need to take. We can barely share bags with them now. For summer 2018, here are my essentials have grown. Being outdoors requires having a good stash of skincare and haircare. I do love lip balms too (Read My Lips novelity balms RRP£1.99ea). On sunny days there’s nothing like a trip to the beach. I’m always in the water head first. Currently, my hair has been braided with extensions. I don’t have to restyle daily and it not need much product, but I will treat Vallie’s. 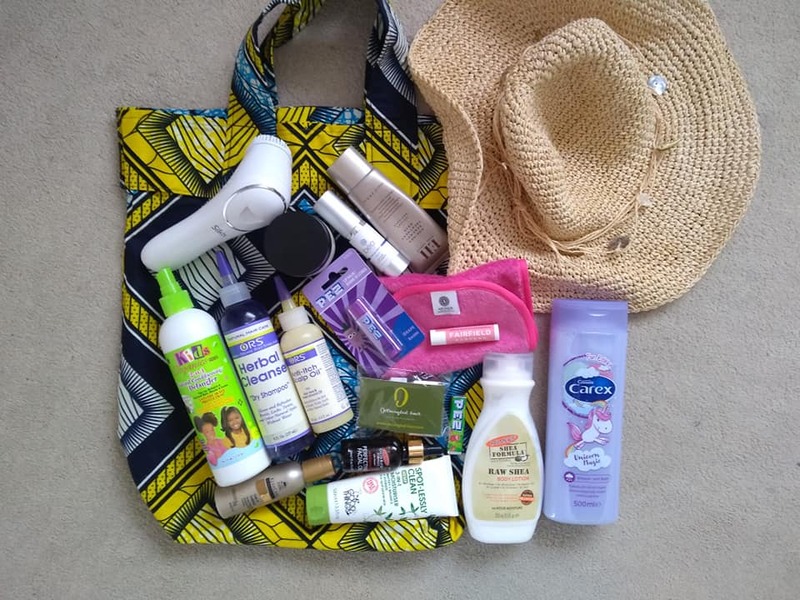 I’ll still take my curl towel (Boucleme RRP £25), hair lotion, conditioners and some natural oils. If I’m not swimming I’m likely to be sand on the sand with a sunhat and a book. Pembrokeshire has many opportunities for coastal walks. Walks require legging (or shorts) trainers, gym bra (HKMX Xenia £30) , towel just in case. The kids will take their M&S Nature Explorers Kit (RRP £16) which was sent to us courtesy Anthisan Sting and Bite Cream. Hunting for mini beasts and wildflowers in the bush is always so much fun! There’s no need to be afraid of the bugs and minibeasts. We love our creature comforts. 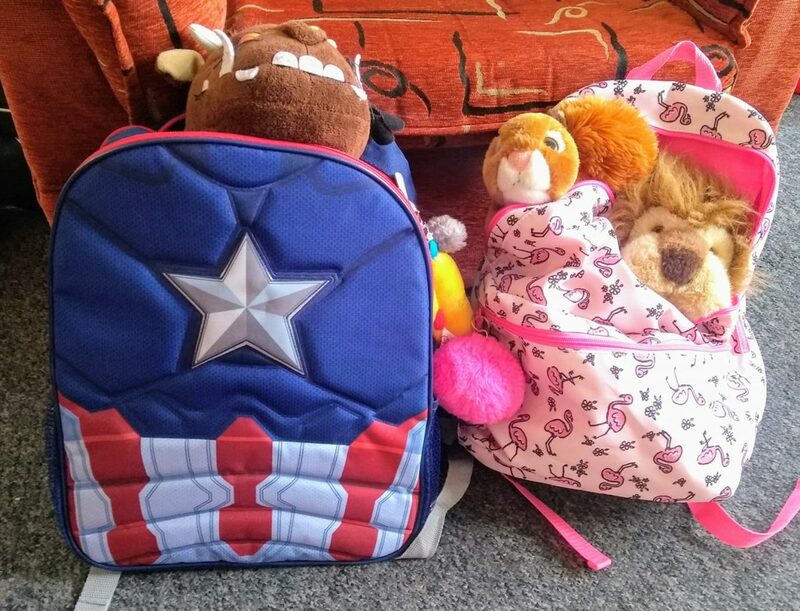 The kids always take cuddly toys and books in their knapsacks and cushions in hand. We love board games. Monopoly is always a hit. It can get quite competitive. Due to the lack of boot space, we can’t take ours so we’ll purchase from a local charity shop. OMG gadgets! We don’t forget our gadgets. There’s usually a bag of chargers, plugs, etc. What’s it like when you pack for your family breaks? What can you simply not do without?